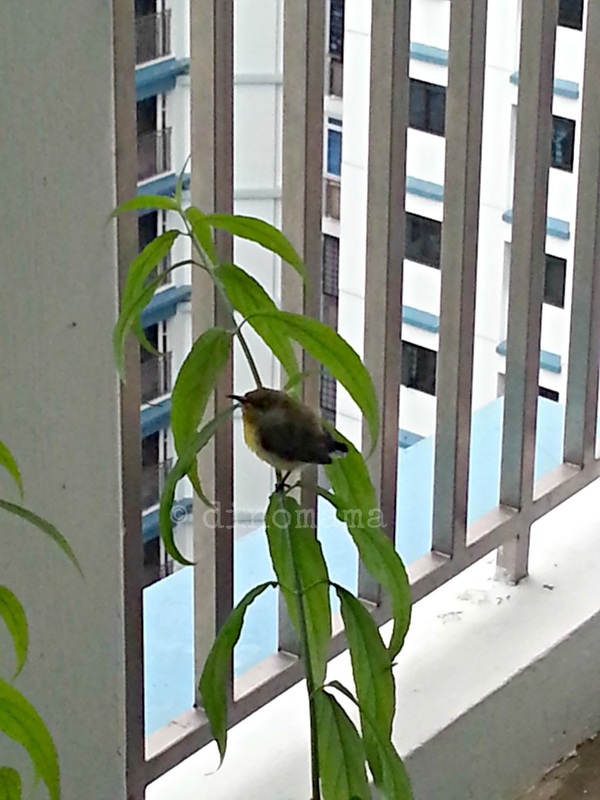 Last weekend we were heading out and saw this little bird perching on one of the potted plant at the lift lobby. Guess this little bird was taking shelter from the heavy rain outside. Well, we sort of scared it away when we try to make it hop onto DinoPapa's hand. 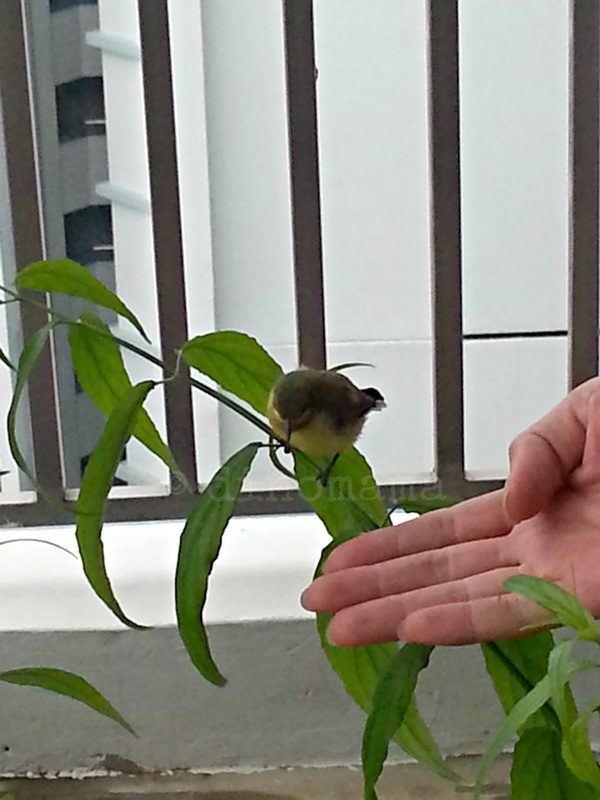 I don't think this is a robin though, do you know what type of bird is this? Beautiful pictures of a beautiful bird! Thank you for sharing these! 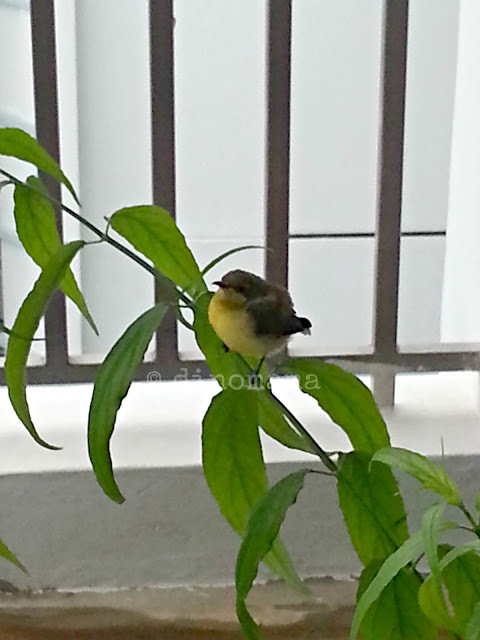 I visited from Create With Joy, Wordless Wed.
have no idea but it's such a sweet little bird!